The New Jerusalem Bible is recognised as one of today's most accurate, clear and modern translations, the fruit of long collaboration between leading biblical scholars. 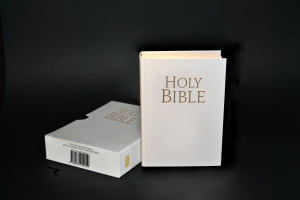 This handy-sized Pocket Edition, new for 2015, presents the New Jerusalem Bible in an easily accessible and manageable form suitable for everyone. New Jerusalem Bible by Henry Wansbrough was published by Darton,Longman & Todd Ltd in January 2015 and is our 2828th best seller. The ISBN for New Jerusalem Bible is 9780232531596. Be the first to review New Jerusalem Bible! Got a question? No problem! Just click here to ask us about New Jerusalem Bible.